Giant Food Stores, LLC, or commonly referred to as Giant-Carlisle, is an American supermarket chain. The supermarket chain offers a variety of products and in-store services including banks, pharmacies, coffee shops, and dry-cleaning services. In 1923, David Javitch opened Carlisle Meat Market, a small meat shop in Carlisle, Pennsylvania. In 1936, he purchased a store in Lewiston, Pennsylvania and named it Giant Food Shopping Center which operated as a full grocery store. 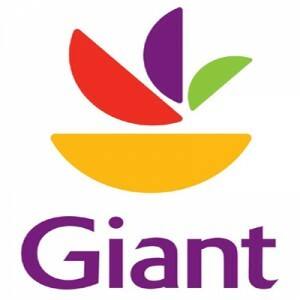 Giant has over 200 stores operating in Pennsylvania, Maryland, Virginia, and West Virginia. In 2016, Keep America Beautiful, a non-profit organization centered on community improvement, honored the supermarket chain with the National Community Improvement Award for Waste Reduction and Recycling. Some benefits of working for the grocery chain are store discounts, paid time-off, 401K retirement plan, medical, dental and vision insurance, and free flu shots. Giant offers a friendly and positive atmosphere. The store projects a bright and clean image, and both employees and customers find their stay here to be very fun and enjoyable. How old do you have to be to work at Giant Food Stores? The minimum age requirement for basic entry-level positions is 16 years old. For certain distribution and managerial positions, the minimum age requirement is 18 years old or above. Giant Food Stores offers a variety of in-store services along with their fully-stocked grocery department. They offer jobs a variety of tasks such as sales associates, deli/produce/perishables associates, supervisors, baristas, pharmacy technicians, and gas station attendants among others. Cashier: A Cashier is primarily responsible for ensuring a smooth and efficient checkout. Duties include operating the cash registers, scanning products, unloading products on the counter, clearing all shopping carts in the checkout lane, restocking supplies in the checkout counter, and maintaining the cleanliness of the counter. Bagger: A Bagger is primarily responsible for providing efficient and excellent service during checkout. Duties include properly bagging and packaging all purchases, clearing shopping carts in the checkout lane, returning shopping carts to their designated areas, and assisting customers in loading groceries into their cars. Deli Associate: A Deli Associate is primarily responsible for managing the deli department. Duties include assisting customers with their orders, preparing and handling deli products, stocking the display, removing all damaged and expired products, organizing the stock room, and maintaining the cleanliness of the deli department. Checkout Coach: A Checkout Coach is primarily responsible for overseeing and supervising all checkout counters. Duties include clearing cash registers, resolving complaints raised by customers, assisting with the checkout whenever necessary, opening or closing checkout lanes based on customer traffic, overseeing the cleanliness and organization of the store floors. Night Crew Leader: A Night Crew Leader is primarily responsible for overseeing the supermarket’s night operations and night shift crew. Duties include managing orders, receiving and unloading product deliveries, operating a pallet jack, opening and stocking products on shelves, scheduling production, and supervising associates. Perishable Department Manager: A Perishable Department Manager is primarily responsible for managing the perishable departments. Duties include supervising and training associates, scheduling tasks, handling orders, performing product markdowns, unloading products, stocking the displays and cases, and maintaining the cleanliness of the work station. Pharmacy Technician: A Pharmacy Technician is primarily responsible for assisting with the operations of the pharmacy. Duties include unloading and stocking products on the correct shelves, inputting and documenting all information about the customers and prescriptions, answering phone calls, and providing assistance to the customers. Gas Station Attendant: A Gas Station attendant is primarily responsible for assisting with the operations of the gas station and the surrounding areas. Duties include assisting customers with their orders, handling transactions, restocking supplies and merchandise, completing all the necessary paperwork, collecting and properly disposing of garbage, and sweeping and cleaning the station. Lead Certified Receiver: A Lead Certified Receiver is primarily responsible for managing all orders and deliveries. Duties include overseeing and managing the receiving area, coordinating with delivery trucks for efficient unloading of products, operating a pallet jack, clearing all unattended pallet jacks in the receiving area, completing and authenticating all documents and reports, and checking all delivered products. Coffee Barista: A Coffee Barista is primarily responsible for managing all orders in the coffee shop. Duties include greeting customers, managing the counter, taking orders, handling payment transactions, making and serving orders, complying with food safety procedures, stocking supplies, and maintaining the cleanliness of the store. To apply, you may visit any store to ask for available positions and to file your application form. You may also apply online, where you must first complete your profile and provide basic information. Both in-store and online applications are accepted. For online applications, you may visit their website and browse through the list of available positions per location. To submit your electronic application, you must first create an account. After submitting your application, you may receive a call from the recruiting manager within a week. If not, you may check online for the status of your application or visit the store during off-peak hours to inquire. For your resume, provide your complete basic information and include relevant trainings and certifications, if you have any. Also, emphasize on your skills which are important for the job you are applying for. During the application process, be prompt with answering and responding to messages from the recruitment manager. Arrive on time for your interview and dress professionally. Prepare for questions about yourself, your motivation to work, and why you chose the company. Giant is a company that values diversity and cares about their employees. They prioritize their employees’ health, education, and career and also promote open communication among the staff. In 2008, Giant-Carlisle opened their first Super-Giant store in Philadelphia. The store has a Wi-Fi café, a children’s play area called the “Tree House”, a 32-seat cooking school, and a community center. The company not only provides fresh and quality products to their valued customers, but also provides free consultations with in-store nutritionists and dieticians, scheduled private consultations, and classes to discuss nutritional needs and responsible food choices. Giant Food Stores serve communities by helping fight hunger and building healthier communities. The company also practices sustainable sourcing and uses energy-efficient technology to contribute to a cleaner and safer environment. 1 How old do you have to be to work at Giant Food Stores?